We will submit 3,000 wiki articles for you, you will choose how many links should be in each article. This Gig is ideal for link wheel & link pyramids campaigns. 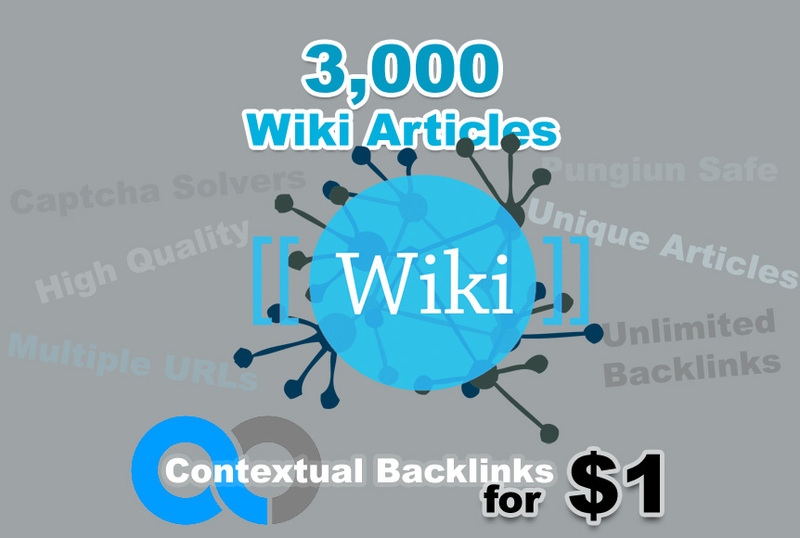 Unlimited contextual Wiki Backlinks from 3,000 Wiki Articles is ranked 5 out of 5. Based on 1397 user reviews.